Superior Image is an independently owned full-service, high-volume contract embroider dedicated to catering specifically to promotions and corporate wear companies. Our production facility is conveniently located in northern Cincinnati, Ohio near major interstates and easily accessible to a nationally-known corporate apparel distributor. 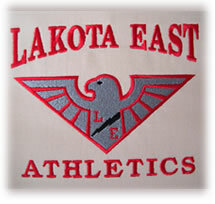 We can readily accommodate both large and small orders utilizing 90 embroidery heads operating over two shifts. This flexibility gives us the operational advantage to respond to a variety of client requests and sensitive timelines. WE put our customers and their clients FIRST! We believe that success is the result of "going the extra mile" to meet and exceed expectations. WE believe in a pricing structure that gives the client a competitive edge. WE acknowledge the importance of attention to detail and meticulous care in servicing each and every account. WE adopt a "can do" attitude whereby customer requests do not necessarily mean more negotiations or extra expense. 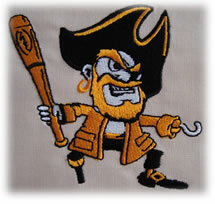 WE place great emphasis on delivering top-notch embroidery services accurately and on-time. WE encourage our clients to allocate their time and resources to business growth. WE’ll do the rest behind the scenes.